Mobile entertainment components, especially amplifiers, demand increased power that varies with the dynamics of the sound. Delivering optimal power without distortion and with minimal loss is vital to performance – especially in multi-amp and subwoofer systems. 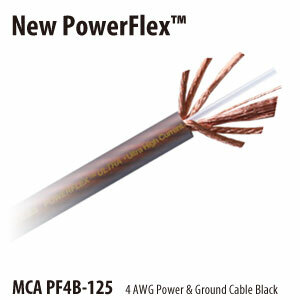 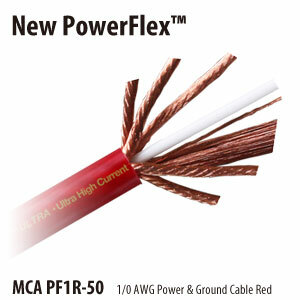 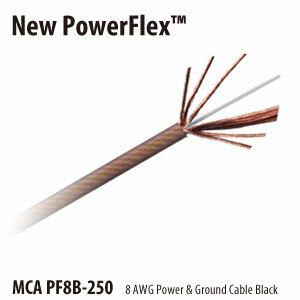 Featuring patented Magnetic Flux Tube® technology, Monster PowerFlex Power and Ground Cables maximize power transfer to your amplifiers for improved sound quality with tighter bass response and increased dynamic range. 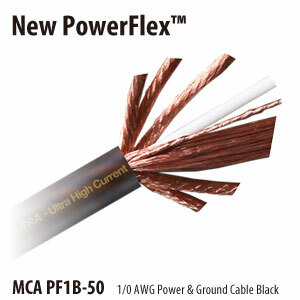 Oxygen free copper and special winding configurations further optimize amplifier performance by reducing noise pickup so all you hear is the sound of entertainment.